Dental Fix RX has been recognized as one of the fastest-growing private companies in the U.S. by Inc. Magazine, making the publication’s Inc. 5000 list for the first time. This recognition by Inc. Magazine signifies the dedication exhibited by everyone involved with Dental Fix system-wide and showcases that the model we’ve built facilitates growth and is applicable to any market. Dental Fix RX, the only mobile dental equipment repair franchise in North America, has been recognition as one of the fastest-growing private companies in the U.S. by Inc. Magazine, making the publication’s Inc. 5000 list. This year’s inclusion marks the first time Dental Fix has been named to the list. Dental Fix provides regular service to more than 13,000 dental offices across the U.S., Canada and Mexico, and is committed to providing the best in repair, service and maintenance of dental equipment. 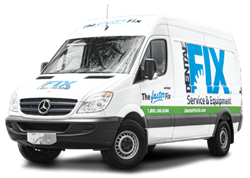 Owners operate out of state-of-the-art mobile repair vans that are fully-equipped to perform on-site work to a variety of dental equipment, including handpieces, chairs, vacuum pumps and more. Each Dental Fix owner receives extensive professional training before, during and after their business launches to ensure all customers receive a risk-free and cost-effective solution for their equipment repair and maintenance needs. To find out more about Dental Fix RX, visit http://www.dentalfixrx.com, or to learn about franchise opportunities, visit http://www.dentalfixrx.com/franchise. Founded in 2009, Dental Fix RX is North America’s only on-site dental equipment repair franchise. Combining centralized technological and account management services with a unique national network of locally owned and operated industry professionals, the company provides its owners with state-of-the-art mobile repair centers to deliver timely and personalized services for all equipment repairs and needs. Franchise opportunities are available nationwide with an exclusive, money-back guarantee for business growth and development. For more information, call 800-586-0340 or visit http://www.dentalfixrx.com.